Larry's long hockey career involved a balance between high school coaching, and hockey development programs. In the hockey development area Larry has worked in several levels. Larry coached the St. Paul Vulcans organization to their first National Championship in Junior-A hockey in 1968. At this point Larry started a long career as off-ice development instructor for USA and Minnesota Hockey, which included many player clinics, Select Camps, and coaches certification clinics. Mr. Hendrickson also served as strength and conditioning coach for the 1980 USA Olympic team, and the Minnesota Gophers hockey team in 1985. He was the Minnesota North Stars training coach in 1986-1987. Larry's head coaching started at Richfield high school in 1973, where he inherited a talented group of players that went to the State Tournament finals in 1976. Larry moved onto Apple Valley high school in 1980 again inheriting another talented group of kids that went to their first State Tournament in school history and took 4th place in 1981. Apple Valley again returned to the State Championship with a talented group in 1996. In 1997, Larry served as Shattuck-St. Mary's AAA Midget and school training coach. Larry returned to coaching as an assistant for the 2003-2005 seasons at a growing Buffalo high school program. From 2005-2007 Larry was asked to come to Benilde-St. Margaret's high school to lead the Red Knights hockey program in their transition from Class A to Class AA - which proved to be highly successful. Recently, Larry has been the USA Hockey Minnesota District Associate Coach-In-Chief for dry land training, and Program Director for the Herb Brooks Foundation. Larry started the Hendrickson Foundation. The Hendrickson Foundation mission statement reads: For every disabled hockey player we have on the ice today there are literally hundreds who we've yet to reach. We will be tireless in our efforts to grow participation through awareness of our programs as well as providing financial assistance to families in need. We also know we can't do it alone. The benefits of the Hendrickson Foundation provides to people who are wheelchair bound, amputees, have cognitive issues, or were injured serving our country in the military are significant. The values for life gained by the lessons from sport affect both the individuals and their families. Being on the ice improves physical and mental health. For many of these players, it's the end of retreating inward and the beginning of reaching out socially to participate, create friendships, and have some fun! Gary grew up in Warroad, MN and graduated from Warroad High School in 1962. He was a four sport letter winner in football, hockey, baseball and track. He had the privilege of being introduced to the finer points of hockey by his first high school coach-Bob Johnson. In his junior and senior years Gordy Genz continued to develop the Warroad program and make them competitive with their neighbors to the west, the Roseau Rams. Following high school, Gary walked on at the UofM and had the honor of playing the game of hockey under the legendary John Mariucci. In 1965 the Gophers. ended up as Big 10 hockey champions. Gary played his sophomore and junior years on the same line as South Saint Paul standouts Doug Woog and Bruce Larson. After leaving the University of Minnesota, Gary played under coach Bob Peters of Bemidji State and in 1969 they won the NAIA National Championship. Gary began his teaching and coaching careers in 1969, teaching a half year in Thief River Falls, Mn. and coaching junior high football. In 1970 he and his wife Barb moved to Roseau and still reside there today. Another legendary figure, Oscar Almquist hired him as a teacher and assistant hockey coach to South Saint Pauls, Terry Abrams. After two trips to the State Tournament as an assistant he became head coach of the Rams in 1977 and remained in that position until 1990. Major coaching accomplishments include 5 Regional Championships and 5 State appearances-with two 3rd place and one 4th place finish at State. Gary’s teams finished with a .719 winning percent with a record of 202-79-2. His teams also won the State Sportsmanship award on 2 occasions. 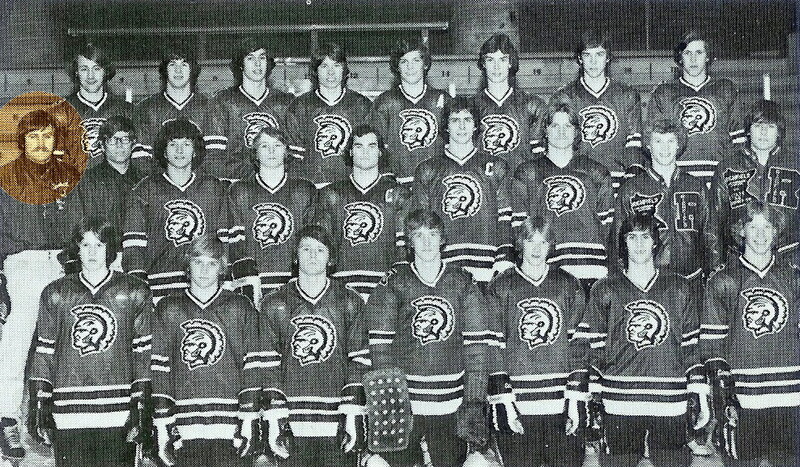 Gary was the WCCO radio All-State coach of the week on 3 occasions and his 1978 team was the AP hockey poll champion with a 20-0 record. Behind every successful program we have the kids that get us there. Over the years Gary has had the honor of coaching many young men that have gone on to become successful in. all aspects of life. 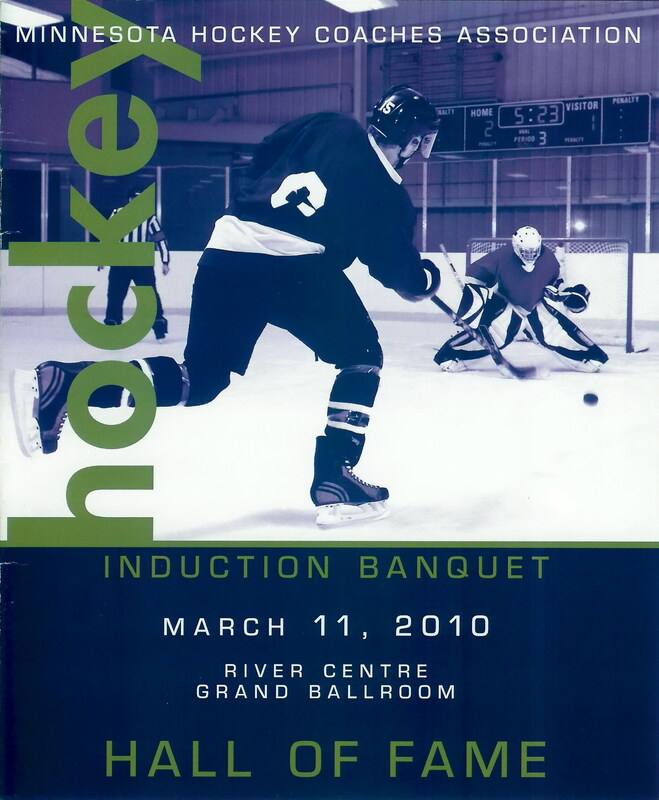 He had the privilege of coaching four young men that became excellent professional hockey players (Neal Broten, Aaron Broten, Bryan “Butsy” Erickson and Paul Broten) and many other young men that went on to have successful years as D-I and D-II hockey players. From 1990 until 2003, Gary coached in the football program as an assistant high school coach and later as a junior high coach-the “big” boys were getting hard to keep up with. From 1994-2006 he actively oversaw the Student Council the advisor and became involved with all student athletics as the equipment room manager-a position he still holds as well as teaching drivers training for the past 36 years. In 1996 he was honored as Roseau Teacher of the Year and as a State Teacher of Excellence. He was a 2000, 2005 and 2010 Roseau Classic Reunion Hockey Coach. In 2004 Gary was inducted into the Bemidji State University Athletic Hall of Fame. 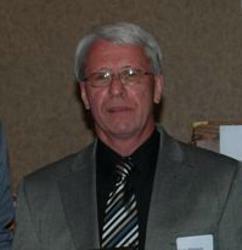 He received a 35 year award in 2006 as a member of the Minnesota Drivers Training and Safety Education Association. Gary was recognized for 25 years of service in the Minnesota State High School Coaches Association in 2006 and in 2007 he was inducted into the Bemidji State University Professional Education Department Teacher of the Year Hall of Fame. His own hockey playing career has continued and in 2006 he was a member of the Roseau Golden Agers as they became the over 60 National Champions – this Roseau team repeated as the 2007 National Champions. In 2008, he was honored by the Coaches Association when he was inducted into the Minnesota State High School Coaches Association Hall of Fame. In 2010 he received the ultimate honor, from his peers, of being inducted into the Minnesota Hockey Coaches Association Hall of Fame. 1969 Junior High football - T.R.F. Steve was born and raised on the Iron Range in Virginia, Minnesota. He was very fortunate to have great coaches at the youth level with Pat Finnegan, Jim Padgett, and "Pa" Sertich. At Virginia high school, Dave Hendrickson became the head coach in his junior year, and was a positive influence on his life and later coaching. After high school, Steve went on to play at Colorado College from 1970-1974. His two coaches at Colorado were Hall of Famer John Matchefts, and Jeff Sauer. After collegiate hockey, Steve played for three US National Teams and the 1976 US Olympic Hockey Team for legendary Bob Johnson. Steve's first coaching jobs were Northfield and Virginia. After a brief hiatus from coaching in the early 1980's, he spent several seasons as an assistant to Wayne Nelson at Blaine high school. The it was on to a five year stint as an assistant to Mike Thomas at Richfield high school. In 1993, Steve took the head coaching job at Roseville high school. In 2002 and 2003 the Roseville Raiders made it to the State Tournament, finishing third and second respectively. In 2003, Steve became the girls' hockey coach at Roseville high school, finishing in 2006 with a 4th place finish at the State Tournament. In 2006, Steve accepted the head coaching position for the Bemidji State University Women's Hockey Team. After eight seasons at the helm of the Bemidji State University women’s ice hockey program, Steve called it quits. Sertich, led the Beavers to 81 wins, eight postseason appearances and the program’s first stint in the national polls, announced his intention to retire from coaching at a press conference March 17, 2014. “I truly enjoyed my time as a teacher and coach at both the high school and Division I levels and now I look forward to the next chapter of my life". John McNamara grew up in the North End of St. Paul and played football, hockey and baseball at Sylvan Playground and at St. Bernard's high school. His love for athletics continued throughout his life combined with an outstanding ability to teach providing John with outstanding opportunities for students and athletes alike. 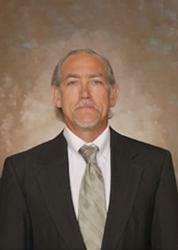 John taught industrial arts/technology for a total of 35 years. 25 of those at Northfield high school. John coached boys hockey for 27 seasons, boys soccer for 13 seasons, and baseball for 12. In coaching, it was the sport of hockey where John really shined. 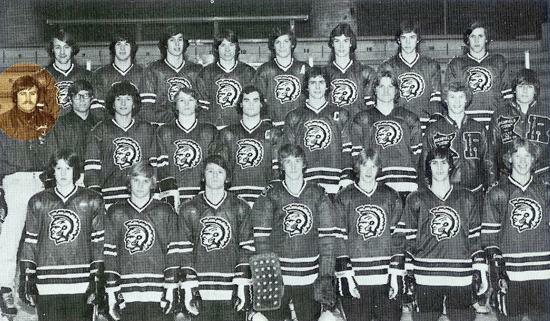 Coach McNamara led the Northfield Raiders boys hockey team to the Section I Semi-Finals at the old Met Center in 1984. In 1987 the Raiders won the Minnesota Conference Championship, going undefeated for a record of 10-0. John coached the boys hockey teams of 1995 and 1996. In 1996 they they finished as Section I runner-ups. He was a highly respected coach, recognized twice as Section I Hockey Coach of the Year (1983-1984 and 1995-1996). John was truly an exceptional athlete and hockey player himself. While in high school at St. Bernard's, John participated in football, hockey and baseball - all of which he garnered All-Conference accolades. Following high school John went on to Mankato State University and was a member of the All-American team in 1971, and is still the all-time leading scorer for points per game at MSU. John also played on the United States National Teams in 1968, 1970, and 1972 which was a tremendous accomplishment and honor to John. Teaching industrial arts, particularly automotives, was also a passion and talent for John. He was a member of the International Automotive Technicians Network and the Minnesota Industrial Arts Association. Under John's expert guidance and instruction, Northfield high school students consistently qualified in the Ford/AAA State competition. John was the epitome of a master teacher and coach. John had also given of himself in serving our country in the military. He was a member of the Minnesota Army National Guard for 40+ years. He retired from the military in 2006 as a Brigade Command Sergeant Major. As a member of the American Legion, John received a Legion of Merit Award in 2007 - this is the highest Army award for non-combat performance. John's most lasting coaching memories were the "great players I had the privilege to coach and their achievements as teams and individuals. The relationships that continue with former players that has allowed me to observe their development and their making a difference in their community and country".